Hey everyone! 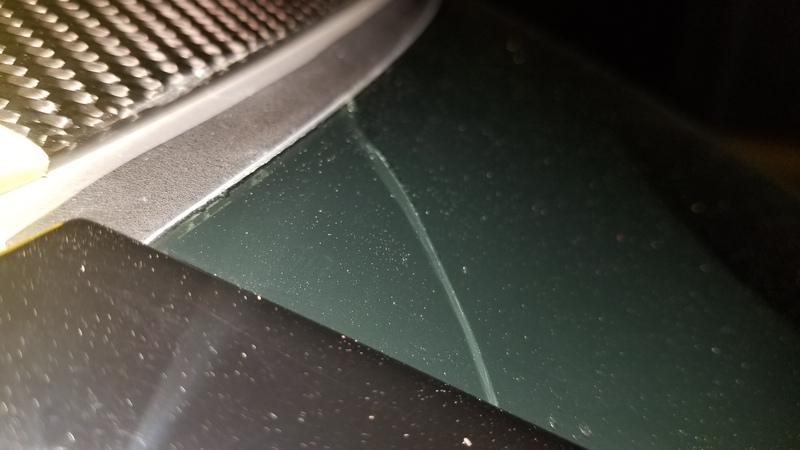 I own a 16 Z51 and noticed a few days ago a crack on the inside of the windshield. Pic attached. What is odd about it is the fact that there are no signs of an impact, the entire crack is inside the windshield. Local Chevy dealer took a look and said that it WAS from an impact, even though it left no signs of being struck. It is hard for me to believe that such a thing is possible, but I could be wrong. Anyways, they refused to replace it under warranty claiming it being the result of impact. I read a lot on here and saw others contacting GM. Long story short, I was told to go to a glass shop. So I did and they (Local Safelite) claimed it did NOT look like an impact. So I called GM back and they escalated it. 2 days go by and GM calls me back and pretty much tells me "We don't know why you were told to go to a third party. We called the dealer and what they say goes. If you REALLY think it isn't impact go to another dealership and get a second opinion." TL;DR, if dealer says grass is purple, it is purple. What should I do now? Maybe I am all wet and it is impact, but I can't imagine that it would leave no signs of being struck. Do I get a second opinion? Pic attached, is it actually from impact? Last edited by Beburton94; 04-08-2019 at 09:06 PM. I seem to recall that there were a small number of C7s that had their windshield crack as a result of a barb or extrusion on the window frame. See https://www.stingrayforums.com/forum...indshield.html and especially post #28. At this point I'm not really worried about what may or may not have caused it. Dealer and GM are basically telling me to jump. Just wanted opinions on next steps, should I go out of town to a different dealer (only 1 in town), or am I stupid and is it impact based on pics? Service manager did the pen test and it was all smooth. But claimed it was still impact because of something with the crack I couldn't see. Last edited by jsvette; 04-09-2019 at 07:06 AM. Reason: unlike other forums, we maintain a family friendly style; please comply. At this point I'm not really worried about what may or may not have caused it. Dealer and GM are basically telling me to go jump. Just wanted opinions on next steps, should I go out of town to a different dealer (only 1 in town), or am I stupid and is it impact based on pics? From what you wrote, I conclude that something is wrong with the people you dealt with at your local dealership. If I were you, I would not go back there. Cracked windshields have happened to a lot of C7s. There are many threads on this topic here on the forum. Jeff pointed out a link above. If I were you, I would go to another dealership where they are competent and honest. If your car is still under warranty, I would expect it to be covered 100% by the warranty. Make sure they use an OEM windshield, and that it is for a HUD, if you have HUD. Last edited by jsvette; 04-09-2019 at 09:02 AM. Just yesterday i ran into another owner at a car show . A 2014 C7 convertible with a similar crack at the top left side of the windshield. Car has 6K miles and is clearly maintained very well. Same description as yours and he is also being told not a warranty issue. He has escalated it as well to Manufacture as the dealer service department is of no help . I believe the dealer said he caused it by grasping the corner of the windshield to assist himself out of the car with the top down. Just ridiculous in my opinion but so typical I am afraid. Good luck getting it taken care of. In the first picture, there does appear to be an impact area right above the rubber gasket. Surprised that Safelite did not agree. I had an experience with a different make of car where the windshield just unzipped for about 4 inches from the top, at about the middle. The service writer ran his ballpoint pen over it and said it was impact. I said I just was starting to wash it and it ripped open when the water from my hose hit it. He said the flaw was already there, and he could feel it with his "pen test". I took it to Safelite and the tech told me there was no impact. Took it back to the dealer, and this time the service manager confirmed with his ballpoint pen that there was no impact, and OK'd a warranty replacement of the windshield. I found out from an internet forum that this was not uncommon for these particular cars. In any case, there is a huge amount of built-in stress in tempered glass, and it does not take much to make it rip or explode. Not every service writer is a skilled forensics analyst when it comes to automotive glass, and sometimes you just have to keep trying. The Safelite guy went as far as to say that the bubbling under the windshield could even be from the plant, but it wasn't visible till later. Also the area you mentioned did not show any signs of impact. Can it still crack on the inside from impact without showing any signs of an impact actually occurring? Additionally, the service manager IS the person who did the test. Got his pen out and everything. Despite it being smooth, still claimed it was impact. At this point, you probably need to find another dealership, as Rodney suggested. An impact from the outside would not create a crack on the inside, as the glass is laminated with a plastic layer in the middle. An impact on the inside would not have happened without your knowing about it. Beburton, welcome to the forum. Funny thing is that I came to the forum initially because I had exactly the same problem with my 15 Z51. Top of the windshield crack with no indentation from an impact. I wanted to see if it was a common thing so lo and behold, there were other members that had the same thing happen to their Stingrays.... no impact top of windshield cracks. Your post is almost like my first post only I investigated before I went to the dealership. I actually printed some of the comments that said it could be caused by windshield tabs and called GM Customer Care first. When I told them where I wanted to take it, they immediately called the dealership before I actually went for them to inspect it. The service manager knew I was coming, I had the proof that others had the same situation and the manager took all of 3 minutes to confirm that it was not hit and that they would call for a replacement windshield immediately and have it covered under warranty. ( I also have that protection in my car insurance policy with no deductible but since it was a defect and still covered under warranty, I did not even think about using that coverage) The called me the next day to schedule me to come in for the OEM replacement HUD capable since I have the 3LT. My recommendation to you is to call GM Customer Care and tell them about the crack that just showed up with no impact. Tell them the NEW dealership you want to take it to for the inspection and that you have confirmed on our forum that it is a known problem. Then call the NEW dealership and ask for the service manager. 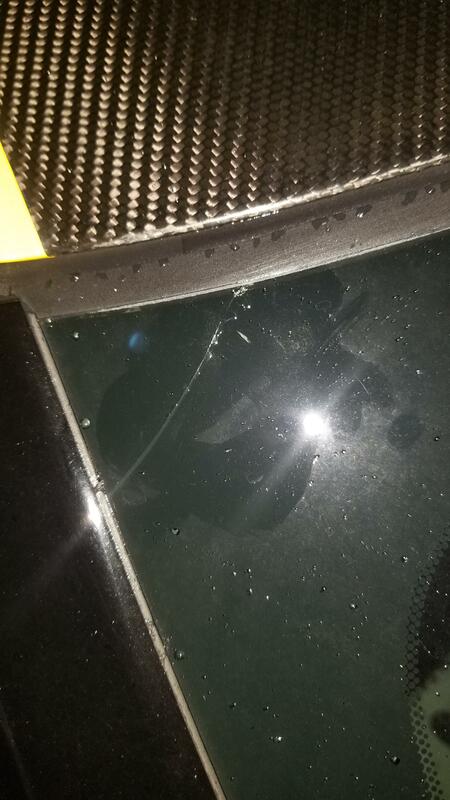 Tell them you found the crack, you know it is a unique Stingray problem confirmed on this forum, and that you want the windshield replaced under warranty. They will schedule an inspection for you and if the service manager is good and honest, he/she will confirm and do what they did for me. Don't mention to anyone that you already took it to the dealership that did not want to cover this under warranty... unless the new one can confirm that it was caused by an impact. The dealerships are usually fine with doing warranty work... at least the ones where I am in PA are ok. They actually sub out the install work. All else fails, check your auto policy to see if you are covered through your vehicle insurance. Good luck in getting this taken care of. white_out, jsvette, rdslon01 and 2 others like this. I had te same problem with my 2018 C7 in the fifth month I owned it. The dealership didn’ t take any action other than to refer me to a glass shop they routinely use. Here in SC glass replacement doesn’t cost anything with full coverage so I really had no reason to push the issue with the dealership but under different circumstances I would surely have pushed for warranty repairs. There was not a mark on the glass other than the crack. 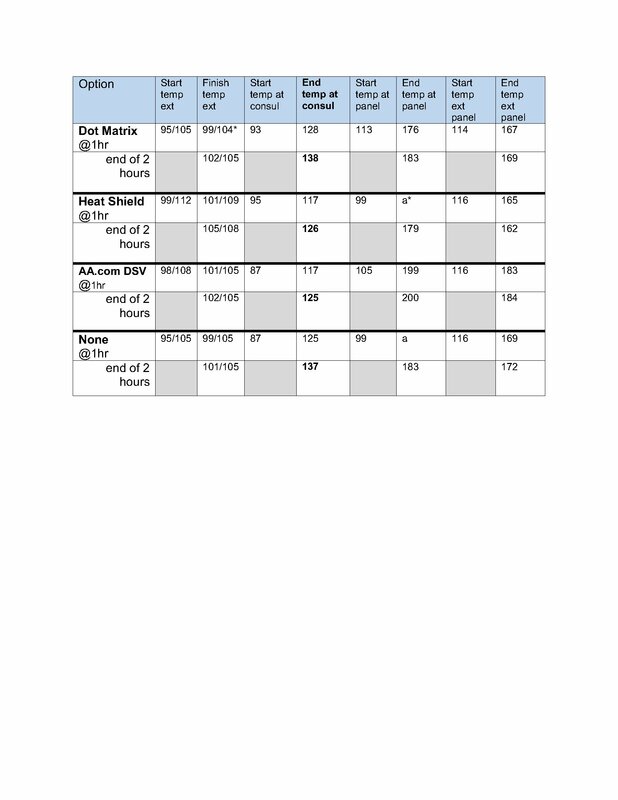 The columns on the right side of the table may be of some relevance (the entire study is at https://www.stingrayforums.com/forum...html#post63456). Last edited by jsvette; 04-11-2019 at 05:29 PM. Thanks, now I don't have to do this! Lol seriously, your data clearly shows at least a 100 degree increase over ambient temperatures. I will have to look up the coefficient of linear expansion for glass, steel, aluminum, etc. in the area. This is a known issue. Mine has been replaced twice all under warranty. Had to do with the locator tabs that locate the windshield when it is installed on the assembly line. Recommendation from GM was to cut off the tabs when installing by hand. It has nothing to do with temps, speed or loads of any kind. Several owners have had this happen. A GM field agent visited on the second replacement and found out about the tabs as the issue. All are to be replaced under warranty. GM also revised there assembly line installation procedure to ensure correct tab installation prior to the robots installing the windshield. Last edited by joemessman; 04-12-2019 at 09:39 AM. ALCHMST, Racer_X, noxqq and 1 others like this.